Sheethal Jos prays during the Cultural Heritage Mass. 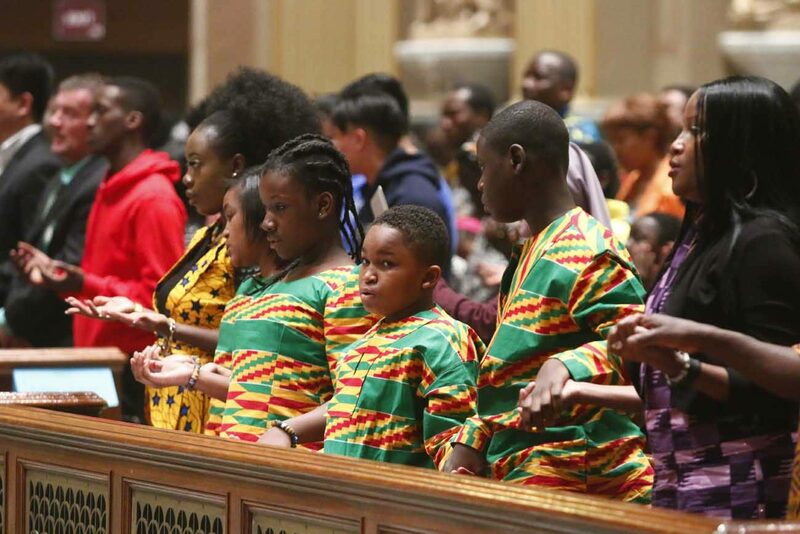 As in previous years the 20th annual Cultural Heritage Mass, which was celebrated March 25 by Archbishop Charles Chaput at the Cathedral Basilica of SS. Peter and Paul, brought together Catholics representing more than two dozen ethnic communities that call the Philadelphia region home. 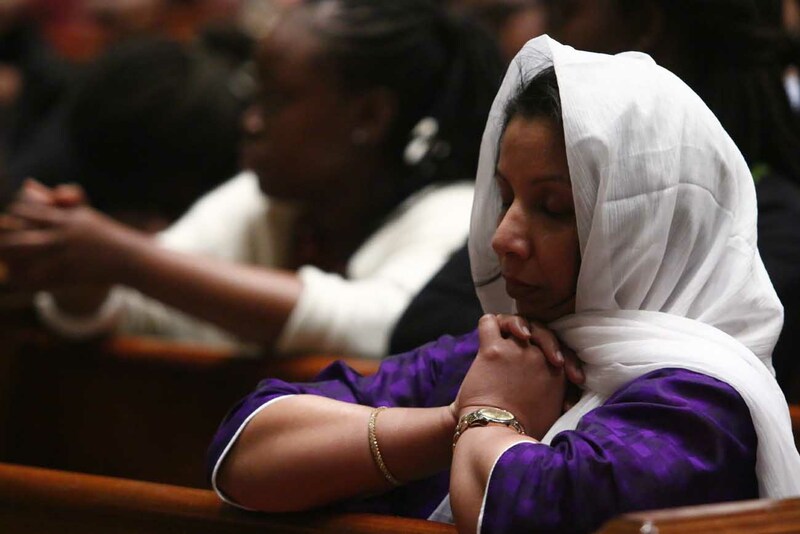 Matt Davis, director of the archdiocesan Office for Pastoral Care for Migrants and Refugees, which sponsors the Mass, explained its two goals. Young men from St. Katherine of Siena Parish in Northeast Philadelphia greeted and handed out programs to people as they entered the church. They witnessed a colorful tradition that precedes the annual Mass — a procession of national flags carried by people with roots from countries throughout the world. Young people around his age are tempted to leave religion because of the distractions in their lives, he said, and they are more likely to seek comfort in other people than in God. Archbishop Chaput noted that there was a greater number of youth and young adults present at the Mass than in previous years. There were 29 different ethnic communities, to be exact, and they each participated in dance, music and proclaiming Scripture at the Mass. The mass was celebrated on the Solemnity of the Annunciation, a feast day on which Catholics celebrate Mary’s obedience to God’s will. In his homily, Archbishop Chaput pointed out that Mary was herself a young person when she responded with faith to God’s call.